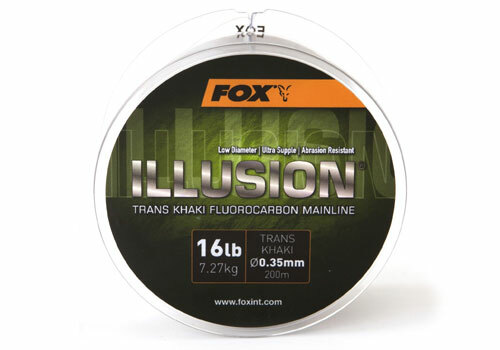 Our Illusion Trans Khaki fluorocarbon features cutting-edge technology that has helped to make it arguably the best fluorocarbon currently on the market. We developed this line alongside top underwater diver Rob Hughes who himself rates the product as head and shoulders above any other fluorocarbons available. The Trans Khaki technology used in this line means that not only is it invisible when on the lakebed but also when it is up in the water too.